Pairing Aaron Levie, the young gregarious CEO of the up-and-coming enterprise cloud platform company Box, with John Chambers of Cisco Systems, one of the tech industry’s best known and longest-serving CEOs, might not seem an obvious choice. But spend a little time with either one of them and you quickly realize that while outwardly different — Levie is known to favor sneakers and perform magic tricks at parties while Chambers wears impeccable suits and loves to talk politics — they’re remarkably alike. Cisco is the lumbering $46 billion (2012 sales) networking giant that is trying to parlay its world-beating expertise in selling equipment that runs the world’s networks into becoming the world’s leading vendor of enterprise IT and a significant supplier to companies embracing cloud computing. He’s also a veteran D: All Things Digital speaker. Box, meanwhile, is all about the cloud. It’s the enterprise-oriented file-sharing and collaboration service that has raised more than $300 million in venture capital funding and is well on its way to being one of the most anticipated initial public offerings of 2014. Today marks Levie’s first time on the D: All Things Digital stage. 11:23 am: Session is starting. Walt Mossberg just introduced Levie and Chambers. Levie: Referring to the previous session on Glow, there’s a “natural partnership” for Bang With Friends. Walt: Everyone knows Cisco and has known it for decades. You’ve been powering a lot of computing and Internet for a long time. General question: Corporate IT was one of the most regressive forces in technology. Those who came up with great ideas would run into a wall of excuses. That seems to have been changing in the last few years. The power and instinct to say no to something new and interesting has dropped away. Is that a real thing and how is it changing your businesses? Levie: The first 20 years, the complexity of building software and systems and implementing it meant you needed to have a lot of internal expertise. There was less democratization and innovation. The cloud and mobile have inverted that in the last three to five years. When people bring their own devices into the workplace, they need to bring their own software into the workplace. CIOs are getting the idea that they can either let it happen or get on the front end of it and improve productivity. Chambers: What you’re seeing is a faster pace of innovation than I’ve ever seen. Speed all of a sudden is the key ingredient. How do you make big data useful? CEOs are saying they’re also technology companies. Seeing speed in terms of competition can be the differentiation. Walt: There was a time when enterprise companies led the way. Is that still the case? Chambers: It used to be consumer driven. If I were betting, I’d say it’s going to flip in the next few years. Levie: The expectation in the consumer Web is that you can share anything, any time, but that hasn’t yet happened in the enterprise. Levie: You’ll have all news types of use cases. Chambers: If you think of the Internet in four generations, the fourth will be Internet of Things. It’s going to be driven by businesses because businesses have to connect all the devices. 11:31 am: Walt: It seems a lot of people who work under the thumb of corporate IT, they still have to have a parallel set of devices. Some of the systems they use at the office are old and haven’t been upgraded. Or an old work laptop versus their personal one. Levie: There’s some pent-up demand that will unravel. When we used to meet with CIOs they’d be running Windows machines. Now we see them with MacBook Airs and iPhones. Levie: The three biggest deals we sold last year were to companies created in the 1800s. Chambers: If businesses leaders can’t get what they want from their own IT shops, they will get it from someone else. I don’t know a CIO today that thinks they can limit the device you can bring to work. BYOD trumps security, even in the Department of Defense. Chambers: Creative destruction is speeding up, and the top five or six IT players are going to change in the next few years. Levie: We’ll go meet customers, and their primary relationship with companies like Oracle (which he selected randomly) is getting audited to make sure they’re paying enough money for the software they use. Walt: John, you’re the established guy, and Aaron is the challenger guy. Is that right? Chambers: We see the market in much the same way. If you watch where CEOs are watching the industry, they’re looking for speed. He sees $14 trillion in profits emerging from Internet of Things. Chambers said Cisco and Box are working on partnering. 11:41 am: Chambers said Cisco was too early with the Flip Camera. It would have been better had the service moved to the cloud. Walt: Can you focus on both the enterprise and consumers? Levie: To sell to the enterprise, you have to have good consumer-grade instincts. Today that is the standard by which every enterprise software company is going to be judged. It has to be on par with consumer grade technology. Walt: So why not sell Box service to consumers? Levie: It conflicts with our ability to roll out to 50,000 employees at large companies. We’re going to put all our wood behind that arrow. Chambers: Cisco doesn’t enter markets where it can’t get 40 percent market share or be a leader. Walt: But you did try consumer. Chambers: We try different things. We have two out of three acquisitions work out. Today we’re number two in the world in cloud. We have 60 percent market share in mobility. Not all moves work. We compete against market transitions not companies. Walt: Talk about the ability of the Internet to bear the traffic that is coming. Chambers: The traffic is going to increase 300 percent in five years. It will move from being PC-like devices. Other devices will be more than 50 percent. We’ll build routers that are able to do huge volumes. Walt: How much of this traffic will be cellular networks where there is scarcity of capacity? Aren’t we going to hit some kind of wall? Chambers: The price is going to come down. Architectures are going to change. The network will become the platform. Levine: As you have a proliferation of Wi-Fi, that creates an opportunity for enterprise technology companies to work in new markets in new ways. 11:49 am: Time for Q&A. 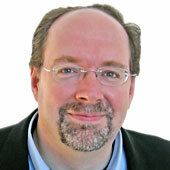 Question: Could you talk more about the reinvention of Cisco for the next era? Talk about services like WebEx. Chambers: Services by definition will occur. We will base our future on an architectural play. We’ve done 15 acquisitions in the last 14 months. Nearly all of them were software, services and recurring revenue. Question from Esther Dyson: For Chambers. You were one of the first valley companies to focus on employee health. What is your experience with this? Have you saved cost? Chambers: A large part of successful companies is culture. We treat employees as family. When employees have life-threatening illnesses in their families we move heaven and Earth to help them. We think health is going to be one of the fastest growing verticals in the next five years. Big investments in IT are coming. Dyson: Investments in prevention rather than care after? Chambers: Completely agree. Prevention is the least expensive form of care. Question from Rolfe Winkler of The Wall Street Journal: It’s hard to overstate the deflationary effect that Amazon is having on enterprise IT spend. Cisco makes 60 percent gross margins selling routers and switches. Why isn’t Cisco — like HP and Dell — a melting ice cube? Chambers: Been answering that question for years. It’s about who gets the market transitions right. We’re going to provide products to companies selling IT as a service. Secondly, it’s about how do you deliver capabilities to your customers. We win wither way. Levie: While things like Amazon Web Services take out some costs in the near term. Later it drives the need for more IT. If companies like the Ciscos and the Dells of the world can figure it out. Question for Aaron from Steward Alsop: I have Box, Dropbox, Google Drive and Apple iCloud. How do you solve all the different services? 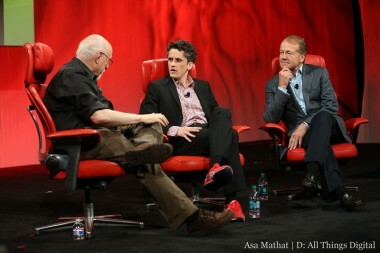 Levie: We thought it should be easy to store and share, we thought there would be similarity among services. Our view is that where the data is stored is less important than how the data is managed. Question about the Internet of Things. And that’s it, we’re done.